Happy Happy Thanksgiving Bloggy Land!!! Here is to eating amazing food and running off the calories :) Muscle Man and I will be hosting the Tall Family at our house. It will be tough without Dad, but I am very Thankful that we can all be together..
Soooo with Thanksgiving here and 1 month to CHRISTMAS... I thought it would be fun to give a nod to some of my favorite companies and pass on some gift ideas.. Lift Your Sole HERE, has high quality products that are amazing! I wear my cuff bracelet and necklaces daily. Jill, the artist, has a great facebook page where she posts inspirational quotes and questions. Go to Lift Your Sole Today because there is a SALE 10% off and free shipping over $50. Click HERE to Shop Gu Energy. I love the Gu Chomps, my favorite Gu flavors are the ROCTANE..
Brooks HERE has my favorite E-Z T's and I am a happy camper in the Adrenaline shoes. The fit and quality set Brooks apart from the pack. GoLite HERE keeps me hydrated because their handheld is AWESOME! I also love my travel bag. With so many products to chose from I am sure you won't leave this site for a while. I put on my Recovery Socks HERE after every long run. They fit my legs like a glove and really aid in recovery. I have tried other brands and these are the BEST!! Sugoi HERE products are high quality, comfortable and easy to wear. The Piston tights have majical powers!!! Trust me having a few really quality items in your running closet is a great way to keep you running. 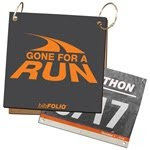 Gone For a Run HERE is the place to go for personalized and fun gifts for runners. Bibfolios, shirts, ornaments, etc... Online shopping has never been so FUN!! Need more ideas?? 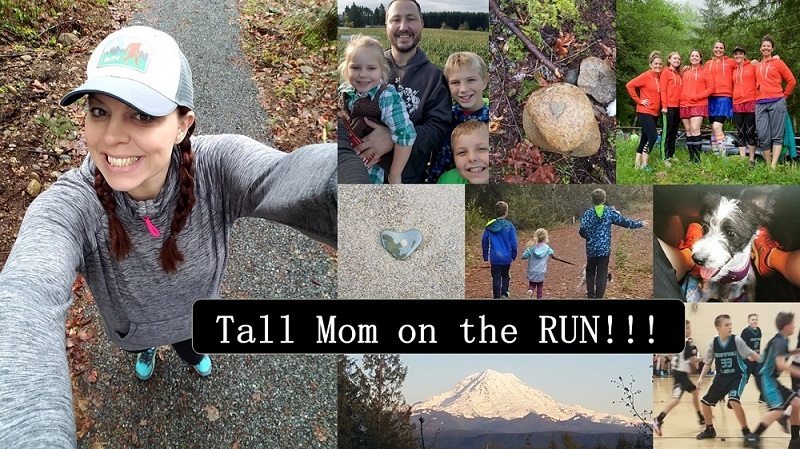 Check out my post from last year HERE with lots of GREAT ideas for Runners. Of course I would not leave you without a few things I am Thankful for..
-All of you, your amazing uplifting and positive comments. This has not been an easy year but you all have been there for the ups and the downs. -Muscle Man, The Little Studs and my Tall Family, we have held strong together and managed to find a smile and a laugh. -My HEALTH!! My legs are strong and have taken me to amazing places and helped me to achieve my Goals. -Time with the ones I love.....UMMMMM OK guess I better get to it. Happy Thanksgiving Mel! See you in one week!!! Happy Thanksgiving! I did my "Give Thanks" post and mentioned you. I hope you have a fabulous weekend! I totally agree with your list! You listed some great companies!